Advanced Chemicals & Eng., Architectural Eng., Civil Eng., Electrical Eng., Electronics & Computer Eng., Energy & Resources Eng., Environmental Eng., Industrial Eng., Materials Science & Eng., Mechanical Eng. Architecture, Automotive System Eng., Biotech & Chemical Eng., Civil and Environmental Eng., Computer Eng., Electrical & Semiconductor Eng., Electronic Communication Eng., Mechanical Design Eng., Refrigeration & Air-Cond. Eng. The applicant and his/her parents have foreign citizenships. Applicants hold a Bachelor’s or Master’s degree as of September 1, 2012. Applicants must maintain a grade point average (G.P.A.) of at least 2.64 on a 4.0 scale, 2.80 on a 4. 3 scale, 2.91 on a 4.5 scale or grades/marks/score of 80% or higher at the previous institution. If the transcript does not indicate grades/marks/scores, attachment of official explanation from the attended institution is required. All documents should be in either Korean or English. Documents in other languages must be accompanied by notarized Korean or English translations. If applicants write their address and telephone number incorrectly, or they are out of contact, they are responsible for all the inconveniences resulting from those mistakes. Those who could not get 60 points or higher out of 100 in the document screening will not be selected. Internship. 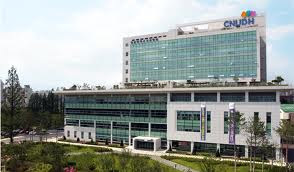 CNU provides internship program to international students according to the MOU between Chonnam National University and Gwangju Technopark. Period: During summer or winter vacation less than two month. Answering phones, filing, data input into computer etc. Payment: Approximately 40,000KWR (over 4 hrs a day) + Transportation support. Payment and working conditions would be negotiable. Residence. The Residence Halls, accommodating 4,200 students, give students chances to live in the convenient housing environment on the beautiful campus. Demikianlah informasi mengenai KGSP Graduate Scholarships, Chonnam National University, Korea semoga berguna bagi anda.